There will be a choice of two venues for people in the Southern part of the diocese wishing to attend Mass on the Feast of the Epiphany. As is usual on the actual day of major feasts, there will be a sung Mass at 6pm on Wednesday 6th January, the Feast of the Epiphany at St wilfrid's Church in York. Since the feast falls on the first Wednesday of the month, there will also be a Sung Mass in Hull on that day. It will be at 6.30pm at the Church of St Charles in Jarratt Street. The Rorate Mass held at 7.30am on Saturday 19th December at St Wilfrid's Church, York was very well attended. I was not there myself, but there is a report with photographs on the website of St Wilfrid's Church. The breakfast served afterwards also seems to have been popular. Looking at the photographs, most of the congregation, which included a good number of children, are not people that I recognise from the Sunday Latin Masses. The Rorate Mass is a good example of a way to introduce new people to the Latin Mass. It may be that in time, some of these will become regular attenders. The Feast of the Epiphany (6th January) will fall on the first Wednesday of the month in 2016. To celebrate the occasion, we shall be having a Sung Mass in Hull on that day. It will be celebrated by Fr Mark Drew at the usual time of 6.30pm in the Church of St Charles in Jarratt Street. There will be First Mass of Christmas at Midnight at St Wilfrids's Church in York. It will be a Solemn Mass in the extraordinary form and will be preceded by carols and readings at 11.15pm on Christmas Eve. There will be a Rorate Mass at St Wilfrid's Church in York next Saturday, 19th December. Rorate Masses take place early in the morning and are by candlelight. So it will be an early start for those attending on Saturday. Mass is at 7am, so set your alarms early. Since this blog started, there have been 100,000 page views. Although this is a small number when compared with some of the more popular blogs, it does demonstrate that there are plenty of people who are interested in the provision of Latin Masses in the Middlesbrough Diocese. Surprisingly, when these page views are analysed by country of origin, Russia has been heading the table in recent weeks. Yesterday, being the first Wednesday of the month, there was a usus antiquior Mass at the Church of St Charlers Borromeo in Hull. The attendance was slightly down, but nevertheless there were still more than 20 there, which was not too bad. Maybe it was the lure of Christmas shopping that kept some people away, or it might have been that some people simply forgot about it. It is important that a good attendance is maintained, as it is my intention, before too long, to make the case to Bishop Drainey for a regular Sunday Mass in Hull. It is likely that Bishop Drainey will require evidence that any Sunday Masses in the usus antiquior will be well attended, and a good track record of attendance at weekday Masses would be one way of doing this. On Tuesday 8th December, the Feast of the Immaculate Conception, there will be a Sung Latin Mass at 6pm in the Church of St Wilfrid in York. These figures are for the ordinations to the diocesan priesthood only, and do not include those who have been ordained in the traditional orders such as the FSSP, the ICKSP and the IBP. Neither do they include the very considerable number of priestly ordinations in the monastic communities that use the older rite, such as Le Barroux, Fontgomoult and Lagrasse. If these were taken into consideration, the percentage of EF ordinations over the past six years would in the region of 25%. Although these figures may seem very encouraging for advocates of the usus antiquior, the overall decline in the number of priests in France is pretty spectacular. In the 1960s, the average number of diocesan priests ordained each year was in the region of 500. On Saturday, I attended the Mass at St Mary's Church in Warrington at which the Priestly Fraternity of Saint Peter took over responsibility for the church. The Priory Church of St Mary was formerly owned and staffed by Ampleforth Abbey although the monks withdrew in 2012, since when it has been served by diocesan priests. In the last few weeks, Ampleforth Abbey has transferred the ownership of the building to the FSSP, and the Archbishop of Liverpool has entrusted the FSSP to serving the Latin Mass communities in and around Warrington. It really does look as if the Latin Mass will prosper in that part of the world. Not only is the church, designed by E W Pugin and completed by his half brother Peter Paul Pugin, a very beautiful one; but it has survived relatively unscathed from the process of Post Vatican II reordering. The one casualty has been the high altar, which has been reduced to little more than a shelf, although the splendid reredos remains.. Reinstatement of the High altar would be relatively simple, but could not be done immediately, due to the process required for changes to Listed Buildings. The Church of St Mary in Warrington has a strong choral tradition, and the polyphonic choir sang well at the Mass. The FSSP are very lucky to be taking over a church with a quality choir already in place. It also seems that the congregation are supportive of the idea of Latin Masses. I understand that in 2012 when it was announced that the Benedictines would be withdrawing, it was members of the congregation that suggested an FSSP takeover. It has taken three years for this to happen. The church will be served by Fr de Malleray FSSP, and for the next few months he will be assisted by Marcus Williams who is a seminarian with the FSSP. The next usus antiquior Mass in Hull will be at 6.30pm on Wednesday 2nd December at the Church of St Charles Borromeo in Jarratt St. It will be a Low Mass celebrated by Fr Peter Mulholland. There is a move to set up a new Ordinariate group in Guildford in Surrey. This is a long way from Yorkshire, but is of interest because it is some time since a new Ordinariate group was set up. There is to be a Mass in the Ordinariate Use at the Church of St Edward the Confessor, about 3 miles to the northeast of Guildford, at 3pm on Saturday 28th November. The purpose is to test whether there is interest in setting up an Ordinariate group in the area. The church is very small and built in a rural location on the estate of Sutton Place, which was formerly owned by the recusant Weston family. In more recent times, it has been owned by J Paul Getty. We wish the people of Guildford success in their venture. Although the counties surrounding Surrey are well supplied with Ordinariate groups, there are none in Surrey itself, and the current proposal may go some way to plugging a gap. Another gap in the Ordinariate map is Yorkshire. We have a modest group in Sheffield, which is still struggling to get properly established, but nothing else. It is a little surprising that in the whole of Yorkshire there is not more activity on the Ordinariate front. News has filtered through that Fr de Malleray FSSP and Fr Marcus Williams FSSP are now resident in the presbytery of St Mary's Church in Warrington. A Missa Cantata was celebrated there last Sunday, which I am told was well attended. The church, which has been described as one of the finest churches of Edward Welby Pugin, has a strong tradition of good music. The ministry of the Priestly Fraternity of Saint Peter at St Mary's Church will be officially inaugurated with a Solemn Mass to be held at noon next Saturday 21st November, the Feast of the Presentation of Our Lady. The Most Reverend Malcolm McMahon OP, Archbishop of Liverpool, will preside at the throne, and Rt Reverend Cuthbert Madden OSB, Abbot of Ampleforth will also be present. St Mary's Church was founded by Ampleforth Abbey, and staffed by monks of Ampleforth until recently. The church is in Buttermarket Street, a short distance to the East of the town centre, and just outside an inner ring road. Parking should not be too difficult in the nearby streets, and the church is within walking distance of the railway station. The date has been fixed for the next pilgrimage in honour of St Margaret Clitherow and the Martyrs of York. It will be on Saturday 30th April 2016, and will start with a Solemn Mass in the Church of St Wilfrid at 1.30pm. As usual, a procession through the streets of York will follow, and the pilgrimage will end with Benediction back at St Wilfrid's Church. In the right hand sidebar of this blog, there are links to to various other useful blogs. I would like to encourage all our readers to go to the blog of the LMS in the Diocese of Lancaster. It reproduces a post by Rt Rev Michael Campbell OSA, Bishop of Lancaster, which he has recently posted on his own blog. The post is all about the need for vocations in the Diocese of Lancaster. It is not surprising that Bishop Campbell writes at length about that. What is very interesting is the way that Bishop Campbell has chosen to illustrate his article. Go over to the LMS Lancaster site and have a look. The next of the regular first Wednesday Masses at the Church of St Charles Borromeo in Hull will be this Wednesday 4th November at 6.30pm. Since it is the Feast of St Charles, Borromeo, the patronal feast of the church, it will be a Missa Cantata, and will be celebrated by Fr Mark Drew. Mike Forbester of the Rudgate Singers will be coming to sing the propers, and I understand that Fr Drew has arranged for another priest to assist, so we could do with a good turn out. There will be a Solemn Requiem Mass in Leeds Cathedral at 4pm on Saturday 14th November. It will be offered for the repose of the soul of Bishop William Wheeler in the presence of Bishop Marcus Stock. This will be a major landmark in the spread of the usus antiquior since Summorum Pontificum. It will be the first time that a bishop of the Leeds Diocese will have taken any role in an extraordinary form Mass. All the indications are that Bishop Stock looks very sympathetically on the usus antiquior, so we can expect further good news in the Leeds Diocese. The inaugural Mass of the FSSP at St Mary's Priory in Warrington will be at noon on Saturday 21st November. It will be a polyphonic Solemn Mass in the presence of the Archbishop of Liverpool and the Abbot of Ampleforth. Refreshments will be provided after Mass. A party will be travelling from the Middlesbrough Diocese. Anyone wishing to join the party should leave a comment below. Monday 2nd November is the Feast of All Souls, and there will be a Solemn Requiem Mass for the faithful departed at St Wilfrid's Church in York at 6pm. The Mass setting will be the ever popular Faure's Requiem, sung by the choral scholars of St Wilfrid's augmented by singers from St Helen's Church, and accompanied by organ and strings. I am pleased to report that the Mass to be offered in Hull on 4th November will be a sung Mass. This will be on the feast of St Charles Borromeo in the church of St Charles Borromeo. There is every prospect that, in the new year, there will be a new centre for Latin Masses in the Middlesbrough Diocese. Fr Mark Drew, who has recently taken charge of the churches at Hornsea and Marton, expects to start celebrating occasional Latin Masses at the church of the Most Holy Sacrament at Marton. For those who do not know the area, Marton is a hamlet close to Burton Constable Hall, and has a small church built by the Constable family in 1789. It is about 7 miles to the North East of Hull. Watch out for further announcements. The feast of St Charles Borromeo is celebrated on 4th November in both the new and old calendars. It so happens that this year the 4th November is a Wednesday, and so coincides with our regular first Wednesday Latin Mass in St Charles' Church in Hull. So we will be having the Mass of St Charles Borromeo in the church of St Charles Borromeo on the feast of St Charles Borromeo. There are news reports that there has been a serious fire at the Shrine Church of Christ the King belonging to the Institute of Christ the King Sovereign Priest in Chicago. It seems that the fire, which started during the night, has destroyed the roof of the church and many of the internal fittings, although the walls are still standing. It must have been a massive blaze, as 150 firemen and 50 appliances were employed to put it out. It is thought that the cause of the fire is related to the restoration works that were going on the previous day, when volunteers were applying varnish in the choir loft. This is the second serious fire at this church, which is the headquarters of the Institute in America. An earlier fire occurred whilst the church was out of use, before the Institute took it over. There is good news from the Hallam Diocese. Following a successful trial, it has been announced that there is to be a regular monthly Latin Mass in Doncaster. It will be at the Church of Our Lady of Mount Carmel in Armthorpe Road at 3pm on the third Sunday of each month. It will be offered by a young priest, Fr Kieran Fletcher. The church, which is near to Doncaster Royal Infirmary, is easy to find, and is conveniently accessible from Junction 3 of the M18. The postcode is DN2 5JN. I was interested to read that the Canons Regular of the New Jeruselem have been incardinated in the Diocese of Wheeling-Charlston by Bishop Michael Bransfield. I first came across this order, which follows the Augustinian rule, and is led by Fr Daniel Openheimer, in 2006 when I attended a colloquium in Oxford organised by CIEL. The community consists of Fr Daniel, who formerly belonged to the FSSP and two brothers. The good news is that both Brother John and Brother Alban are to be ordained priests on 17th October by Bishop Athanasius Schneider, who is also an Augustinian. These ordinations have been long delayed because they have had to await the incardination of the Order. Let us hope that the Canons Regular of the New Jeruselem will attract more members, now that they are properly established. Starting on 4th October, the Sunday Latin Masses at St Wilfrid's Church in York will include polyphonic music. This has been made possible by engaging choral scholars who will sing at both the noon Mass and at Vespers and Benediction. Next Sunday, the Mass the Mass setting will be Viadana's Missa L'hora Passa with the motet, Simile est Regnum Caelorum by Morales. At Benediction, following Vespers at 6pm, there will be music by Elgar and Vierne. The annual LMS pilgrimage to Walsingham will take place this coming Bank Holiday weekend. Those walking from Ely to Walsingham, a mere 55 miles over two and a half days, will assemble on the Thursday evening in Ely. Others, who prefer just to attend at Walsingham, can gather for Mass, which will be at the Catholic Shrine at 2pm on Sunday 30th August. It will be followed by a procession to the ruins of the old abbey and the site of the holy house. This year, Fr John Cahill will be the principal chaplain, and he will be assisted by Fr Michael Rowe, who is visiting from Australia. Fr Rowe was on the pilgrimage two years ago, when he livened up the event. Also there will by 5 Franciscan Friars doing the walk. It is too late now to book in for the walk from Ely, but please do join the walkers for Mass in Walsingham and in walking the Holy Mile. In the last article, I mentioned that figures for the number of priests ordained each year in England and Wales are not published in any official publication of Bishops' Conference. At one time, these figures, along with many others were printed in the Catholic Directory, but have been omitted for many years. This would be really useful information, and should be published. There is a National Office for Vocations, and one would think that providing statistical information about ordinations would be just the type of thing that it would do. It has recently been announced by the bishops conference of the United States that there have been 595 ordinations to the priesthood this year in the US. This compares with 477 last year and 497 in 2013. Apparently the average age of the ordinands is 34. Whilst one should not read too much into a single year's figures, the increase of 118 over last year (about 25%) is surely significant. These new priests would, in most cases, have commenced their training in 2008 or 2009, during the papacy of Benedict XVI and shortly after the promulgation of Summorum Pontificum. This could be considered as evidence of the so called Benedict bounce, although we could do with the figures for the next two years to be sure of this. This is a welcome improvement, but is insufficient to halt the decline in the number of priests in the USA. There would need to be nearly 1,000 ordinations each year to maintain the present numbers. However, the USA is in a much better position than England and Wales so far as the supply of future priests is concerned. It is regrettable that the bishops of England and Wales do not publish similar information. Without it, one cannot be very sure how we stand for priests in the future. I wrote a little while ago about the Extraordinary Chapter of the English Benedictine Congregation, called to discuss the serious decline in the number of novices in their monasteries. Readers may recall that one of the suggestions put forward by younger monks was that "the usus antiquior should be de-stigmatized". I read today of some evidence that this really works. Silverstream Priory was formed five or six years ago in County Meath in Ireland by an American Benedictine, Fr Mark Kirby. He did this entirely on his own, with no help, except from his dog. Now we read that there are four fully professed monks, including Fr Kirby, at Silverstream, with the prospect of more novices likely to join. Now, what is so special about Silverstream Priory, for it to be growing so quickly? One answer is that there is no stigma attached to the usus antiquior there. It could be that the younger monks of the English Benedictine Congregation have put their fingers on exactly what is required for the rejuvenation of their monasteries. We have in England three dioceses, where the bishop has designated a church specifically for the use of the faithful attached to the older form of the Mass. In each case, care of the church has been passed to one of the traditional orders of priests. They are in New Brighton (Diocese of Shrewsbury), Preston (Diocese of Lancaster) and Warrington (Archdiocese of Liverpool). In the first two cases it is the Institute of Christ the King that is in charge, and the Priestly Fraternity of St Peter will soon be taking over in Warrington. However, none of these are parish churches. In each case, two or more parishes have been merged, so that the church in question is within the boundaries of a larger parish with its principal church and parish priest located elsewhere. At New Brighton and Preston, the churches have been designated as shrines to the Blessed Sacrament. So far, no English Bishop has designated a parish that is mainly or exclusively for those who adhere to the traditional forms of the Mass. This is not the case in other parts of the world. Bishop Olsen of Fort Worth has recently erected the Parish of St Benedict in Fort Worth as a Personal Parish exclusively for the extraordinary form. The term personal parish means that the parish is not defined by geographical boundaries, but rather open to anyone within the diocese who choses to attend. The parish priest has all the same duties and privilages of any other parish priest. Fort Worth is not the only diocese to have a personal parish devoted to the extraordinary form. There are about 40 personal parishes in the USA, and they also exist in Australia, Benin, Brazil, Canada, France, Gabon, Italy, Mexico and Nigeria. Although three English bishops have taken a bold step in handing over churches to the FSSP and the ICKSP, bishops in other parts of the world have bee even bolder. No doubt, the time will come when we will have personal parishes in England. The number of people attending Vespers on Sunday evenings at 6pm St Wilfrid's Church in York is usually small, but it has been building up recently. Yesterday there were 30 in the congregation, and the total attendance including clergy, servers and choir was about 45. This is the highest number so far. Both choir and clergy are far more confident in the singing of the psalms etc than they were when Vespers were first introduced. I would go as far as to say that the singing has reached a pretty high standard. In fact one visitor commented that the singing of Vespers was better in York than it is at the Brompton Oratory! I do encourage people to try attending Vespers. When sung well, it is a really beautiful service, and there is the added bonus of Benediction afterwards. Since the feast of the Assumption (15th August) falls on a Saturday this year, there will be no Latin Mass for the feast on that day at St Wilfrid's Church in York. This is because the normal vigil Mass for the Sunday will be taking place at the time when it is usual to have a Latin Mass on Holy Days of Obligation. There will, however, be a Mass of the Assumption on the Friday at 6pm. The Tablet (please accept my apologies for mentioning it) has carried an article about the English Benedictines Congregation holding an Extraordinary General Chapter to consider the declining number of vocations. It was preceded by by a forum which included younger monks and nuns from the 13 communities that make up the EBC. Various papers were produced by these younger community members attending the forum, and these were later considered by the General Chapter. The paper on the subject of liturgy included the assertion that there was a need to destigmatize the Extraordinary Form. The message from younger Benedictines seem to be: If you want more monks and nuns, have more Tridentine Masses. A fuller report can be found on the blog, Dominus mihi adjutor. Last night's sung Mass in Hull went well. We were fortunate to have Fr Leworthy as celebrant, who was able to ensure that not too much went wrong. I had to act as both MC and thurifer, which would present no difficulty to someone more competent than me, but I did find it a little challenging. With a little help from Fr Leworthy, my mistakes were probably not too obvious to the congregation. 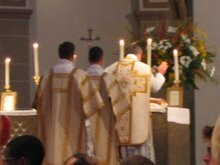 There were two other servers, one of whom had never served at a traditional Mass before, and the other's experience was limited to one Low Mass. Nevertheless, both did very well as acholytes. The Rudgate Singers lifted the occasion to one appropriate for such a fine church. The congregation was a little smaller than usual, and this is almost certainly due to some of the regular attenders being on holiday. I was delighted to see a reporter and photographer from the Hull Daily Mail in attendance. Many photographs were taken and the reporter spoke to several of the congregation. I am hoping that this will result in a big spread in the paper. Readers of the Hull Daily Mail, please keep an eye out. Fr Michael Brown, Northern Chaplain to the Latin Mass Society, has a post in his blog, Gateshead Revisited, in which he discusses the treatment of Irish seminarians at Maynooth. The website, Irish Catholic, has reported that six of the ten Maynooth seminarians who have recently completed pastoral placements were recommended to take time out from their priestly training to reconsider their vocations. It is suggested that the reason for this recommendation is that "their theological views are at the conservative end of the spectrum". This is probably a euphemism for saying that they prefer to kneel during the consecration when attending Mass. Apparently, three of the six will be returning to Maynooth in the autumn, after intervention by their bishops. My first observation is that, if six out of ten are at the conservative end, there cannot be many at the liberal end - perhaps one or two, but more likely none at all! The obvious conclusion is that the Church in Ireland needs to look to the "conservative end of the spectrum" if it is to have even a modest number of priests to serve the generations to come. My second thought is to enquire: Who is to blame for the disastrous fall in the number of priestly ordinations in Ireland in recent decades? There will be many reasons for the decline, including growth of materialism and changes in social attitudes. However, the failure of the Irish hierarchy to recognise and foster good candidates is undoubtedly a major factor. The authorities of Maynooth have, in this year alone, apparently tried to dissuade six men who had reached an advanced stage of their training from pursuing their priestly vocation , because they represent the conservative end of the spectrum. How many more have received this type of treatment over the years? How many more have never reached the seminary door because they realise that they belong to the conservative end of the spectrum? I would guess that there are thousands in these categories who would have gone on to be good priests, if only they had been given some encouragement. So who is to blame for the shortage of priests? I am pleased to report that three members of the Rudgate Singers will be coming to the Latin Mass to be held at St Charles Church in Hull at 6.30pm on Wed 5th August This will enable a full Missa Cantata with the Propers sung to the tones of the Liber Usualis. The Mass will be of Our Lady, celebrating the feast of Our Lady of the Snows. The celebrant will be Fr Simon Leworthy, who will be leaving St Charles Church later in August to take over another parish. I am hoping that he will be able to find the time to celebrate Latin Masses more frequently. This Mass has been arranged as a Missa Cantata at the request of some of the congregation. After the July Mass, a few people stayed behind to practice singing the Ordinary parts of Missa de Angelis. We made a sufficiently good job of it to make the decision to give it a go. The news that members of the Rudgate Singers will be attending will ensure that everything will go well. A Latin Mass takes place in Hull on the first Wednesday of every month. Currently it is at 6.30pm in St Charles Church, although consideration will be given to moving to another church in the winter months to save on heating costs. The usual celebrant is Fr Peter Mulholland. A few weeks ago, it was announced that Bishop Philip Egan of the Portsmouth Diocese was to create a bi-ritual parish in Gosport, which is not far from Portsmouth. 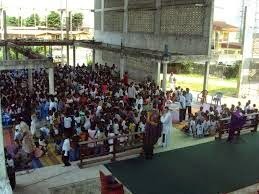 The church chosen was St Mary's and Fr Seraphino Lanzetta, who formerly belonged to the Franciscans of the Immaculate, together with some brothers arrived in the parish in mid June. An additional Latin Mass was introduced each weekday (7.30am Mon to Fri and 9.30am Sat), but otherwise the schedule of Masses was left unchanged, including Sundays when the only Masses (9.15am and 11.00am) remain Novus Ordo. An item in the parish newsletter announced that there were to be meetings following the Saturday Latin Mass to give guidance to parishioners on following the Mass in its traditional Latin form. The latest edition of The Tablet (that periodical that claims to be Catholic, but devotes most of its energies to attacking the Catholic Church) includes an item headed "Friars accused of taking parish back in time". It quotes two women as making claims that that turn out to be totally false and without foundation. It is interesting to note that these claims have now been deleted from the website edition. There is more detail in Fr Brown's blog, Gateshesd Revisited. This incident demonstrates yet again what a disreputable periodical The Tablet is. Firstly, they have printed a story based on information that was not only incorrect, but malicious. Secondly, they clearly failed to check out a story, which was based on assertions that were so improbable, that anyone with any knowledge of Catholic affairs would regard with suspicion. Thirdly, the story was already five weeks out of date. They are clearly slow in picking up news at The Tablet. As has often happened in the past, The Tablet has scored an own goal. Whilst trying to ridicule Bishop Egan and his moves to make the traditional Mass more widely available, The Tablet succeeded in giving publicity to the bi-ritual parish in Gosport, whilst ending up with egg on its own face. We must hope that a later move will be to include a Sunday Latin Mass in the parish schedule. I have been informed that there will be a sung Requiem Mass in the traditional form for Sir Thomas Markenfield and three other members of the Markenfield family, who were forced into exile following the Rising of the North in 1569. 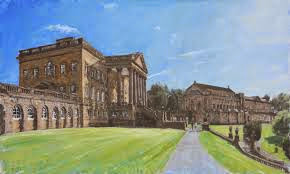 The Mass will take place in the chapel of Markenfield Hall at 11am on Saturday 22nd August, and will be celebrated by Fr Ronald Creighton-Jobe Cong Orat with monks from Ampleforth Abbey providing the choir. Markenfield Hall is about three miles south of Ripon on the A61. The entrance, which is on the west side of the road, is very inconspicuous and easy to miss. I am very proud to be able to report that no less than three old boys of the John Fisher School (my old school) have been ordained to the sacred priesthood in the last few weeks. Frs Mark Higgins and Matthew O'Gorman were ordained in Southwark Cathedral last Saturday and Fr James Cadman was ordained a few weeks ago. I am also aware of another old boy of JFS who is studying for the priesthood at Wonersh. This continues a long tradition of the John Fisher School producing candidates for the priesthood, which has included two who became bishops. I met Fr Mark Higgins (then Deacon Higgins) at the priests' training conference at Prior Park earlier this year, where he learned how to celebrate the traditional Mass. It was his intention that his first three Masses would be Latin Masses. He struck me as someone who would become an excellent priest. I don't know the others, but I have read an excellent report about Fr O'Gorman. May the John Fisher School continue its tradition of fostering priestly vocations. For those who don't know the John Fisher School (it is the only school with that name) it is in Purley in Surrey. A reminder that there will be a Sung Mass at the Church of St Charles in Hull at 6.30pm on Wednesday 5th August, the Feast of Our Lady of the Snows. The celebrant will be Fr Simon Leworthy. Due to popular demand, this Mass will be a Missa Cantata, which is a new venture for this series of Masses. After the July Mass, a few people stayed behind for a short practice and we managed not too badly. I am hoping that there will be someone who can sing the propers according to the liber. If not we will have to be content with a simple tone. Anyone who can help with the singing is asked to be in the church for 6pm so that there can be a practice. Following yesterday's post about the shortage of priests in Ireland, and the suggestion that it is largely a self inflicted problem, I would like to suggest that the same applies, perhaps to a lesser extent, in England an Wales. Over the last 30 years I have got to know of several cases where young men have decided to leave seminary, because their understanding of the priestly life is completely at odds with the training that they were receiving. I know of many more who experienced the same feelings, but decided to keep their heads down during the seminary years in the hope that matters would improve once they were ordained. I know of yet more who were refused entry to seminaries because they were considered too traditional. It is difficult to estimate how many candidates who would have made good priests have either been refused entry to a seminary, or been so discouraged during their time at seminary, that their vocations have been lost - certainly it is measured in hundreds over 30 years in England and Wales. I am sure that almost all of these would be described as being at the conservative end of the spectrum. The conclusion must be that if there are to be enough priests in the Church to meet the needs of future generations, the more traditional candidates can no longer be ignored. As a follow up of the earlier article, it is interesting to speculate where else the traditional orders might be invited to take over diocesan churches. As mentioned before, Manchester in the Salford Diocese is an obvious candidate if the abundance of under-used churches is the driving factor. I would add to this Liverpool, where there are many fine churches in areas where the Catholic population has diminished. Other opportunities exist in the major cities where parish mergers have either taken place recently or are about to take place. I immediately think of Newcastle (Hexham & Newcastle), Bradford and Leeds (Leeds), Nottingham and Derby (Nottingham), Bristol (Clifton) and Birmingham. The traditional orders should surely also have a presence in London, simply because of the size of the place. In this case there may not be so many under-used churches because of the number of Catholic immigrants, but there must be a few churches that would be suitable. This leads me to consider the Diocese of Middlesbrough. There may be opportunities in either Hull or Middlesbrough. The Archdiocese of Liverpool has announced that the Priestly Society of St Peter is to take charge of the Church of St Mary in Warrington. 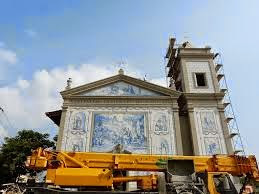 It will not be a parish church, as the parish is to be merged with two others; but it will be for the sole use of the FSSP and will eventually become an exclusively usus extraordinaria church. St Mary's is a very fine example of the later work of E W Pugin, and was completed after his death by his brother Peter Paul Pugin. It is also a large church in a central area of Warrington. For the FSSP, it will be their first church in England where they will have exclusive use, as the church that they currently use in Reading also has parish Masses, and is used for other purposes. St Mary's is also a far more prestigious church, and seems to have avoided any significant reordering. For example, the pulpit and communion rails are intact, and the forward altar can easily be moved. It is interesting to note that all three of the churches that have been handed over for exclusive use by traditional orders are in the North West. The first was Sts Peter, Paul and Philomina in New Brighton (Shrewsbury Diocese), which was followed by St Walburge in Preston (Lancaster Diocese), both of these were entrusted to the Institute of Christ the King Sovereign Priest. To these can now be added St Mary in Warrington (Liverpool Archdiocese). A possible reason for this concentration in the North West is that it is a traditionally Catholic part of the country, having more Catholic churches than is required nowadays. If this is the reason, then we might expect the next development to be in the Salford Diocese, which has a very large number of underused churches. Yesterday evening, Fr Peter Mulholland celebrated a Low Mass for the Feast of the Most Precious Blood at St Charles church in Hull. There were 20 or more in the congregation, which I thought was good for an extremely hot evening. Some of the regular congregation have been asking whether we could have a sung Mass from time to time, and an opportunity will arise on Wednesday 5th August, which is the feast of Dedication of Our Lady of the Snows. Fr Leworthy is booked to be the celebrant at this Mass, and would be very happy for it to be a sung Mass. In fact we had a little practice, and there are enough people able to sing Missa de Angelis for the ordinary parts to work. We are still looking for someone to sing the propers, and may have to use a simple tone for these. We are also hoping to find enough servers to have acholytes and incense. So the Mass on 5th August at 6.30pm at St Charles Church in Hull will be a Missa Cantata. I hope it will be well attended. I noticed on the website of St Wilfrid's Church in York, that Fr Stephen Brown of the Leeds Diocese will be trying his vocation as an Oratorian priest. He will be moving to York in September or October and staying with the Oratorians at the rectory of St Wilfrid's Church until a final decision is made about his future. Fr Stephen Brown, who is currently chaplain to Bradford University, is well known to supporters of the Latin Mass. He has taken part in all the Margaret Clitherow pilgrimages of recent years, and has been a visitor to St Wilfrid's on other occasions as well. When he was parish priest at Idle near Bradford, he said regular Latin Masses in his parish. I am sure that he will be a welcome addition to the community at York. A reminder that the next Latin Mass in Hull will be on Wednesday 1st July at 6.30 pm in the church of St Charles, Jarratt Street. If these Wednesday evening Masses continue to be well attended, it may be that a case can be made for regular Sunday Masses in Hull. So please give it your support. The Latin Mass Society's sixth annual walking pilgrimage to Walsingham will take place over the August Bank Holiday weekend. The dates are Thurs 27th to Sunday 30th August. Pilgrims assemble at Ely on the Thursday evening and reach Walsingham on the Sunday in time for Mass and procession in the afternoon. The walk is about 55 miles and accommodation is provided in schools and halls. The cost is £50 for LMS members and those under 18, which includes the main meals. The cost for other categories can be found on the LMS website, as can further details. It is also possible to join the pilgrimage for the Sunday only, by simply turning up in Walsingham. There are reports on the internet that the Ordinariate of Our Lady of Walsingham has completed the purchase of a former Methodist chapel for its congregation in Torbay. Earlier reports indicated a purchase price of £150,000, which seems good value for a package which includes both the church and a former school. I understand that it is intended to spend at least another £100,000 on works to improve the church and on converting part of the former school to a presbytery. This will not only provide accommodation for the priest, but will give a good sized meeting room for the Ordinariate group to use. The purchase is evidence that the Ordinariate is not only alive and well, but in expansionary mood, at least in some parts of the country. There is further good news of Ordinariate expansion in Pembury, near Tonbridge Wells, where a new hall is being completed. This will allow the main building to be used exclusively as a church. Up to now, it has only been a church on Sundays. During the week it has been used for various other purposes, including a pre-school play group. The results of the British Social Attitudes Survey on religious affiliation among adults in Great Britain have been published. Adults are people aged 18 and over. There is a wealth of material and analysis published, but here are the essentials: The number of adults who self identify as Catholics has declined from 4.1 million to 4.0 million between the years 1983 and 2014 (a decrease of around 2%). The equivalent figures for the Church of England are 16.5 million and 8.6 million (a decrease of 52%). This has taken place over a period of 30 years, when the overall adult population has increased from 41.3 million to 50.5 million. Other Christian denominations have shown a modest decline, whilst the number affiliating to non Christian religions has increased significantly. The biggest increase is in those who profess no religion, which almost exactly equates to the decline in the C of E.
During the Summer months, the weekly Sunday Mass in Redcar will be at 6pm and not at 11.30am. This is to enable Mgr Heslin to act as a relief for priests in the area who are taking summer holidays. It is intended that the time will revert to 11.30am in the autumn, but I have no date yet for this change. The regulars will be kept informed, but anyone else thinking of attending the Latin Mass in Redcar is advised to check the time beforehand. Monday 29th June is the Feast of Sts Peter and Paul. Although, according to the modern practice, most people will be celebrating this feast on the Sunday, those of a more traditional mind who can get to the church of St Wilfrid in York will be able to attend a sung Mass on the actual feast day. It will be at 6pm. Friday 12th June is the Feast of the Sacred Heart, and there will be a Missa Cantata at 6pm in the Church of St Wilfrid in York. Last night's Mass at St Charles Church in Hull, the second in the current series, was well attended. An encouraging aspect was that we had two new servers. One had some experience, remembering what he had learned in his youth. The other was a young lad if 13, who took to it quite naturally and seemed very keen to learn. This is all very encouraging. The next Latin Mass in Hull will be on Wednesday 1st July at 6.30 pm also at St Charles. The Feast of Corpus Christi will be marked on Thursday 4th June in York with a Sung Mass at 6pm in the church of St Wilfrid. There are some comments appearing in the blogosphere that speak very highly of the newly enthroned Bishop Moth of Arundel and Brighton. Fr Ray Blake has some very complimentary things to say about him. The appointment of Bishop Moth completes the transformation of the South Coast dioceses, once notorious for their liberal tendencies. With Bishops Egan, O'Toole and Moth now in charge, these dioceses are emerging as beacons of tradition. The impact of these appointments, together with most of the other episcopal appointments of the last few years, has transformed the complexion of the Bishops, Conference. Now the traditionalists are in the majority, and this will surely bear fruit in the coming years. Tomorrow, Ian Verrier will be ordained a priest of the Priestly Fraternity of St Peter. The ordination will be in Lincoln, Nebraska, although Ian is an Englishman from the West Midlands. He is one of a succession of young Englishman studying for the priesthood at the American Seminary of the FSSP. I believe that there are nine others there. and one in the in the FSSP's seminary in Germany. So there is a steady flow of young Englishmen being trained for the priesthood with the FSSP. Unfortunately, the experience of recent years would suggest that very few of these priests end up working in England. Surely, this must be about to change. With English bishops finding it more and more difficult to staff their parishes, the day must soon come when the FSSP will be asked to take over churches that the dioceses cannot provide with priests. This has already happened with the Institute of Christ the King who have taken over churches in New Brighton and Preston. Maybe it will happen before too long in the Diocese of Middlesbrough. A reminder that there will be a Latin Mass at 6.30pm at the church of St Charles in Hull on Wednesday 3rd June. Last month, there was a congregation of about 30, which was pretty good. let's see whether we can beet that. The celebrant will be Fr Peter Mulholland. I heard on the radio that the Bank of England is seeking suggestions as to whose image to put on the new £20 note. They ate looking for someone representing the visual arts. I immediately thought of the Catholic architect, Augustus Welby Pugin. Later I noticed that on Fr Henry's blog, the same suggestion has been made. There could be quite a head of steam behind a Pugin nomination. If you think this is a good idea, go to the Bank of England website and vote for Pugin. Fr Henry has a link that takes you straight there. This is a reminder that Bishop Drainey will be present at all Masses in St Wilfrid's Church on Sunday 17th May. It would be good to impress the bishop with a large congregation. Last Wednesday's Low Mass at St Charles' church in Hull was attended by a congregation of about 30. We were able to use the High Altar because the sacristan had arranged for the forward altar to be lifted out of the way before Mass, and for a platform to be placed in front of the original High altar to replace the top step which has been removed at some point. Members of the congregation helped to lift the forward altar back to its place on the steps after Mass. This arrangement worked well, and was far better than the alternative of using one of the side chapels, which have no benches in front of them. The celebrant was Fr Peter Mulholland, and his next Latin Mass will be on Wednesday 3rd June at 6.30pm in St Charles Church. On Sunday 17th May, Bishop Drainey will be present at all Masses in St Wilfrid's Church in York, as part of his visitation of the parish. I am sure that he will be taking note of the numbers present in the congregation at each Mass. The congregation at the Sunday mid-day Latin Mass has been growing slowly in recent months. It is to be hoped that there will be an impressive number for the bishop's visitation. The pilgrimage in honour of St Margaret Clitherow and the Martyrs of York will take place on Saturday 9th May at St Wilfrid's Church in York. It will start with Solemn Mass at 1.30pm which will be followed by a procession through the streets of York and will end with Benediction back at St Wilfrid's Church. Starting on Wednesday 6th May, there will be a regular monthly Latin Mass at 6.30pm in the Church of St Charles in Hull. The usual celebrant will be Fr Peter Mulholland. Please spread the word about this Mass, which will be on the First Wednesday of each month. I have recently returned from the priest and server training conference held at Prior Park College in Bath. Regrettably there were not many priests from England and Wales at the conference, but the numbers were made up with priests from Scotland, Poland and even one from St Lucia in the Caribbean. There were, however, two English seminarians, one of whom is a deacon and will shortly be ordained a priest. He worked particularly hard at learning the older form of the Mass, because he wants to be proficient by the time of his ordination this summer. So long as we have young men like him passing through the seminaries, we can take encouragement that the Latin Mass will be around for another generation. 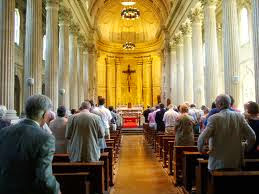 It is reported that there are to be 595 ordinations to the priesthood in the USA this summer, an increase of 118 or about 25% over last years figure of 477. Compared with 2005, it is a 31% increase. Although this year's figure may be exceptional, scrutiny of the statistics, both of ordinations and seminarians, indicates that there is an upward trend of about 5% year on year. 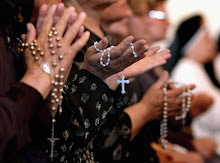 Although doing little to redress the fall in the number of priest over the last 50 years, it is pleasing that tide has turned, and that there is cause for modest optimism. It is interesting to note that the current crop of ordinations started their training in 2008 or 2009, early in the pontificate of Benedict XVI. Could this be evidence of a Benedict bounce? I have written before that what happens in America often happens a few years later this side of the Atlantic. It would be great if it did in this case. I am pleased to announce that regular Latin Masses are to be established in Hull. Following discussions with Bishop Drainey, it has been decided that there will be a Low Mass on the first Wednesday of each month at 6.30pm in the Church of St Charles. This is the principal church in Hull and is in a central location. The celebrant will be Fr Peter Mulholland. This provision will start on Wednesday 6th May, so there is a little time to wait. Fr Mulholland has celebrated Mass in the usus antiquior on a few occasions at the Church of St Francis of Assisi, and many years ago I attended a Mass of his at Ugthorpe in the north of the diocese. Bishop Drainey has said that this Mass will be provided ad experimentum for a period of six months. By this I understand that he intends to review the provision later in the year, in the light of the reports he gets of how many people are attending. Thus it is essential that this Mass is well attended if it is to continue in the longer term. My ultimate objective is to achieve a regular Sunday Mass in Hull. At the moment this looks difficult, as the diocese is not able to supply a priest with time to say a Mass on Sundays. In all probability, the priest would have to travel from some distant location, and this could only be justified if there was a sizable congregation. On way to prove the demand for a Sunday Mass would be to have good numbers at the weekday Masses, so it is over to you. 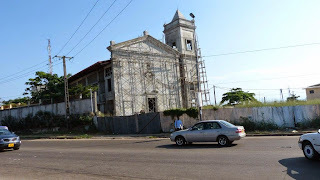 I have been following the building of the Institute of Christ the King's new church in Libreville, Gabon. The following picture was taken in 2011, and it did not look as if it was going to be a very great piece of architecture. I suppose that at such an early stage, it is not possible to tell what it is going to be like. In this later picture it has acquired a classical style of facade. It is beginning to look like a church. The latest pictures show a further transformation. I understand that the murals are composed of tiles made in Portugal. Here is a picture that shows a little more detail. If the inside can be transformed in the same way, it will be a very impressive church. There will be blessing and imposition of Ashes followed by Mass in the Extraordinary Form at 6pm on Wednesday 18th February at St Wiklfrid's Church in York. The Latin Mass Society will be holding its 11th training conference for priests, deacons and servers wishing to learn the older form of the Mass from 14th to 17th April 2015. It will be held at Prior Park College near Bath. Prior Park, which currently houses an independant Catholic school, is set in 28 acres of parkland, and was built in the 1730s as a country mansion for a local quarry owner named Ralph Allen. 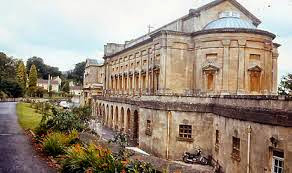 Its architect, John Wood, used Bath stone from Ralph Allen's quarries to create a building in the Paladian style on a hillside site that overlooks the city. 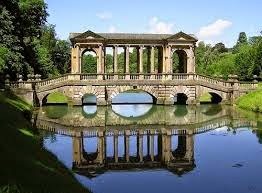 The grounds include several impressive features, including an ornamental bridge, also in the Paladian style, over an artificial lake. After the death of Ralph Allen, the property passed through a number of owners, and in 1828 was purchased by Bishop Baines, the Vicar Apostolic for the Western District at the time. His intention was to establish a seminary on the site, which he eventually did, along with a school. It was also his intention to build a cathedral at Prior Park, but this never happened. However a fine chapel was added. The seminary closed in 1856, with the students transferred to Oscott College. The school continued until the buildings were occupied by troops during the First World War. A fresh attempt was made to establish a boys bording school in 1925, which is the fore-runner of the present school. Prior Park College is very suitable for the needs of the LMS training conference. There is plenty of sleeping accommodation in single rooms, and common rooms will be available for relaxation at the end of each day. Also, Prior Park has the reputation of serving excellent food. The chapel is particularly beautiful and retains its original altar and reredos in a spacious sanctuary. 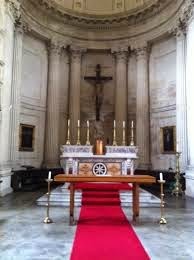 There are four side altars, conveniently arranged for tuition to be given around them in small groups. Bookings are now being taken from priests, deacons, and servers to attend the conference at Prior Park. Further details, including the charges, the application form and how to apply are on the website of the Latin Mass Society of England and Wales. Next Sunday will be a special occasion for the Parish of St Wilfrid in York. The mid-day Latin Mass will commemorate Fr Joseph Vaz, the Oratorian priest canonised by Pope Francis earlier this week in Sri Lanka. Fr Richard Duffield has been in Sri Lanka for the canonisation, and I am sure that he will have plenty to say about his experiences there. It is interesting to see who reads this blog. In the past week there were over 700 page viewings, including from the following countries: Russia 242 United States 172 United Kingdom 103 France 79 China 50 Germany 36 The big surprise is that Russia is at the top of the list, and by a large margin. There will be a Sung Mass in the Extraordinary Form at 6pm on Tuesday 6th January at St Wilfrid's Church in York. This will to celebrate the Feast of the Epiphany on its traditional date.